The Jewish community of Topeka dates back to 1868, not long after the founding of the city. Of the many Jewish organizations and institutions in Topeka’s history, the most important has been the synagogue. Two congregations founded in 1905 and 1915 joined together to build Temple Beth Sholom, Topeka’s first synagogue, in 1920. In 1928, the synagogue became Reform, affiliating in 1935 with the Union of American Hebrew Congregations. Today, Temple Beth Sholom, with 110 families, is the center of Jewish life in Topeka. The Temple enjoys the rabbinic leadership of Rabbi Debbie Stiel and publishes a monthly bulletin. 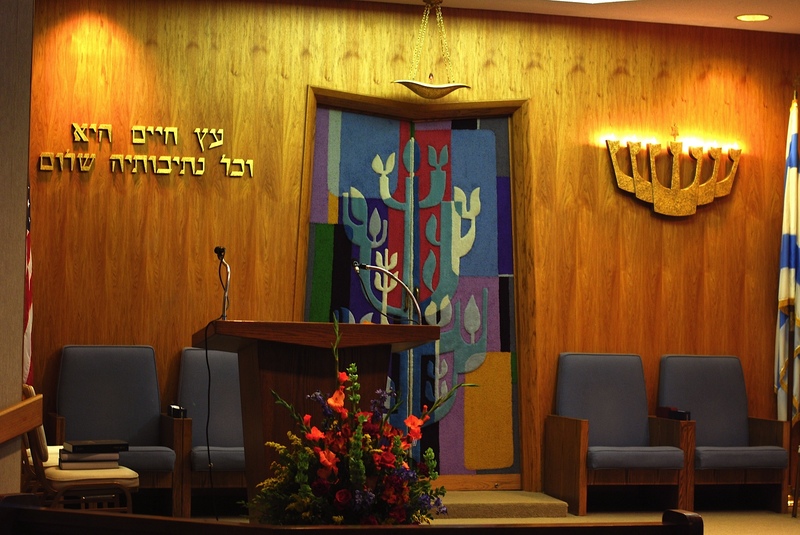 Temple Beth Sholom is in the mainstream of Reform Judaism and is warm to Jewish tradition. Individuals from a broad range of Jewish backgrounds have found a place for themselves in our congregation. Through worship, we observe religious holidays and attempt to create ceremonies which highlight contributions to Jewish life, mark personal milestones, and bring members closer together. We join in Sabbath worship on Friday evenings at 7:30 p.m. and on the second Friday of each month for Simchat Family Shabbat service at 7:00 p.m.